We are super happy to present this release from Nuff & Lekno currently based in Ibiza with their distinctive technical style, NUFF & LEKNO, are riding the waves of success on the Balearic island which they now call home. A founder of one of Czech most successful Techno parties, Allergen,which regularly hosts crowds of 1500 people, NUFF moved to Ibiza in 2014 where he met fellow countryman and Cafe Mambo sound engineer LEKNO.It was a match made in Techno euphoria, as together they created the cult Allergen Radio show on Ibiza Global Radio.For the last few months Nuff & Lekno released music on some very respected imprints such as Under No Illussion and Waldliebe Familien. 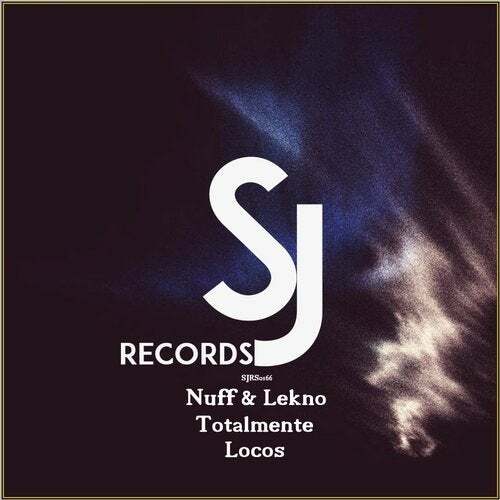 The original track Totalmente Locos comes in the company of two remixes first from our favorite duo A-Bee & Tom Vagabondo,label bosses of The Tea Bay Records with more than decade experience on the electronic music scene,currently residents on Cafe Mambo Radio with their Deep Connection Show every friday.Second remix comes from Secret Jams Records founder himself - Daniel De Roma.